Homeowner associations are not new to the American culture, in fact, common interest developments (CID) began in 1830. And, just recently between 1990 and 2000, the State of Idaho, experienced a 46% increase in CIDs. Today, a re-vitalization of subdivisions is exploding throughout the state, largely as a result of the improved economy, and because builders and developers can better contain capital expenditures and human resources. Nonetheless, subdivisions have captured the American dream and it’s likely they will continue to attract home buyers. 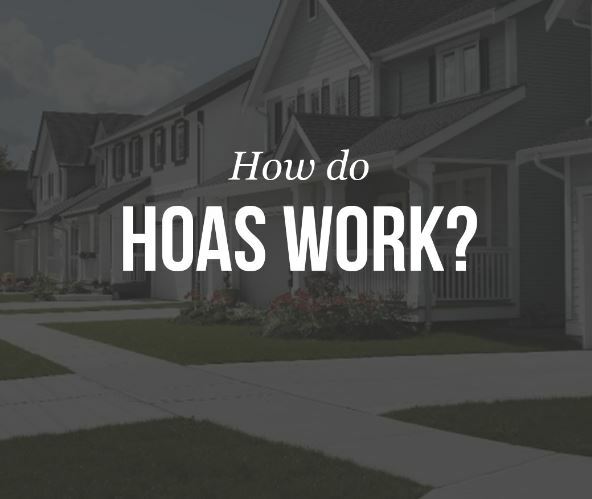 HOAs can provide parks and playgrounds, water features, ponds, pools, golf courses and clubhouses, and shared amenities that attract families. However, to manage these associations, an elected group of unpaid, volunteers represent their association. Like elected politicians, they represent the best interest of the association and speak on behalf of all homeowners. Many who do volunteer find these positions to be an enormous about of time, which can lead to a loss of objectivity and place them in uncomfortable situations with neighbors. If you live in a subdivision that collects HOA dues, you should give consideration to using a qualified association manger. A true third party entity acts as a function of the HOA. They should be accessible, as well as transparent. A red flag is when they cannot be reached or don’t respond to phone calls or emails. An HOA management service has no reason to hide information. They are held accountable, just not to the Board, but to every homeowner for accurate data collection and data reporting. Accessibility to their staff through direct phone calls, facsimiles, emails or voice mails should occur within 24 to 48 hours. Homeowner associations run similarly as a co-op organization where individual property ownership equally share in the collective management and all of the associated liabilities. This means that the expense to manage those amenities is cost-shared among all homeowners, so that an equitable amount of HOA dues are collected. If directed by the HOA Board, a management company would be responsible to collect those dues, as well as to enforce the rules within the subdivision. Violations do occur and is a way to ensure compliance to help support property values and to sustain a common culture in which to live. Because revenue is a primary aspect to HOA sustainability, if the HOA Board authorizes the association management service to collect dues and fees, they should demonstrate a minimum adherence rate of 90% or higher. And, finally, an association management company should be expected to demonstrate competency as a mediator to represent the HOA Board and the subdivision’s homeowners. A professional association management service should be able to interpret, apply and navigate both parties toward a greater understanding of the bylaws, amendments, assessments and enforcement of common interest developments. One of the most trusted and qualified association management service is MGM Association Management. With offices in Meridian and Idaho Falls, MGM differentiate themselves by providing exceptional financial reporting to full-service management of subdivisions, townhouses, condominiums and homeowner associations. What makes MGM the largest third party provider for HOA management is that MGM incorporates online financial solutions and provides a suite of management tools. This allows each association to seek the right fit of services. Online access allows homeowners instant, transparent and quicker information access. For more information regarding HOA management or MGM Association Management, call (208) 846-9189 or visit http://www.gomgm.com.